Clear overlap exists in the clinical experiences and needs of specialist nurses treating immune-mediated inflammatory diseases in dermatology, rheumatology and gastroenterology. Established in 2005 and led by top UK specialist nurses, Arena is a cross therapy nurse education programme that aims to empower specialist nurses to implement change and make a difference in the delivery of immunology care. 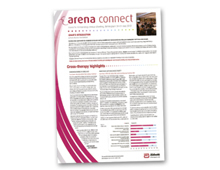 The Arena programme consistently receives very positive feedback. 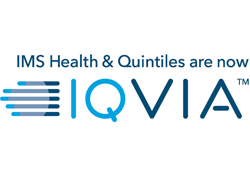 Going beyond this, the Steering Committee, AbbVie, and their agency, Lucid, embarked on an ambitious and exciting journey to evolve Arena into a practice-changing programme. Using an evidence-based model, developed in partnership with an advisory board of psychologists, Arena has been evolved into a multi-channel programme that changes clinical practice and improves patient outcomes. Audit of systemic therapy in psoriasis patients leading to timely and appropriate treatment (Birmingham Skin Centre). Great brand management and a really good initiative. AbbVie continue to develop their brand through excellence in customer focus, going to people who really make a difference with a complex plan that effected change.